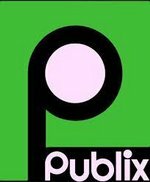 Pick up a Publix Partners Card in the HES Ofiice!! When you shop at Publix they will swipe your card and HES will earn money from your purchase!!! The card is FREE!!! All purchases at Publix* will help earn money for your school. For every $37,500 spent cumulatively by your school's participants, Publix will award your school $250. Your school will receive a check as often as four times a year based on a minimum earning of $250 per quarter. If your school doesn't earn $250 in a quarter, any funds accrued will be carried over to the next quarter. Your school chooses how to use the money. Whether it's computers or microscopes, art supplies or sports equipment that your school needs, Publix Partners can help. Family and friends welcome. They can present cards linked to your school at any Publix (except in Florida) and benefit your school.